Our second official look at John Wick 3: Parabellum has arrived and it's pretty crazy. Earlier this week, we were treated to teaser videos and character posters for the movie, which were exciting enough on their own. However, they don't even come close in comparison to how intense the latest trailer for the third and possibly final chapter in the John Wick franchise is. With that being said, it doesn't really feel like this is going to be the end of the line for our favorite assassin. John Wick 3 sees Keanu Reeves on the run with a $14 million dollar bounty on his head, which he earned for taking a life on the grounds of The Continental Hotel. He only has a one-hour grace period to get a head start before the world starts hunting for him. Wick is going to need all of the help that he can get and he's also going to need people who he can trust with his life that aren't out to cash in on the $14 million. One of things that the John Wick franchise is known for is the over-the-top action and Keanu Reeves performs a lot of his own stunt work, which is clearly visible. In addition, Reeves' firearm handling skills are also impressive. John Wick 3 features some crazy scenes involving guns and Reeves has done some intense training in that field. After the first trailer was released, a video surfaced of the actor and co-star Halle Berry at a range going through some fast-paced target practice, showing just how serious they take their craft. 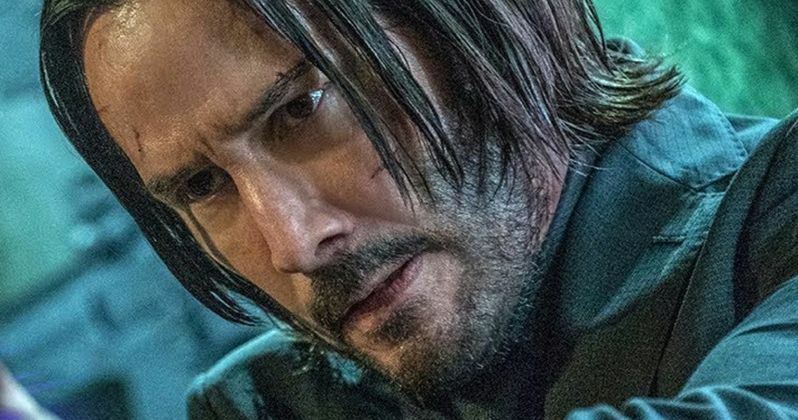 John Wick 3 director Chad Stahelski has revealed that this installment is the bloodiest one of all. And when looking at both of the trailers that have been released so far, he is definitely not kidding around. While this will certainly come as a welcome bit of new for fans of the franchise, it becomes harder to manage during test screenings. Some moviegoers want more blood and more action, while others think that there is too much of either one or the other. In the end, Stahelski doesn't really use test screenings as a true barometer to how audiences will react when the final product hits the big screen. Now that we have two trailers for John Wick 3, we're starting to get a better idea of what the movie is all about. Wick may be on the run, but there is a lot more going on under the surface that will probably get messy. It was recently revealed that Mark Dacascos' villain character, Zero may be the toughest Wick has ever gone up against. Making matters even more complicated is the fact that Zero admires Wick and his assassin abilities. We'll learn more about that when the movie hits theaters on May 17th. Until then, you can watch the latest John Wick 3 trailer below, thanks to Lionsgate.